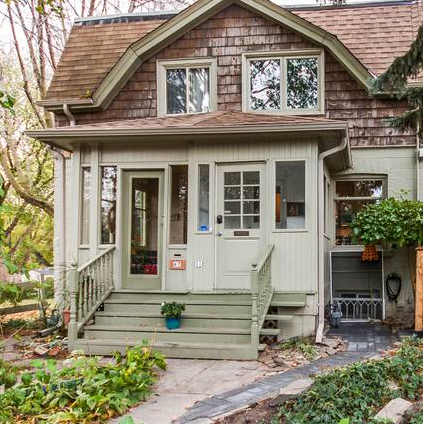 Siding directly onto Riverdale Park West, this sweet semi in Prime Cabbagetown will make you forget you are in the city. Located at the end of a quiet and friendly street, you will fall in love with this community. Well kept 2 bedroom + den and 2 bath home, including main floor powder. Enjoy summer bbqs in the landscaped yard or spend your time playing in the park, running in the ravine or strolling through Riverdale Farm. One of a kind! Parking for one small car via the laneway. Street permit parking available. Plenty of storage. No smokers please. Master bedroom can be fully enclosed. References, Rental Application, Credit Check, First And Last Month’s Rent Required.